iTunes gives you the ability to access thousands of free streaming Internet radio stations from around the world. But what about if you want to spin the virtual radio dial on an iOS device as well? You may have found some great Internet radio stations that play just the right type of music for work or play and want to access them on the go. Or you may have a favorite radio station for news, talk, or music that’s streamed over the Internet. Luckily, you can replicate some of what iTunes offers on your iPhone, iPad, or iPod touch with some third-party apps. 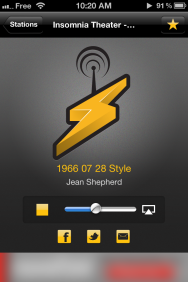 The Shoutcast app offers tons of stations, but has limited controls. 1. 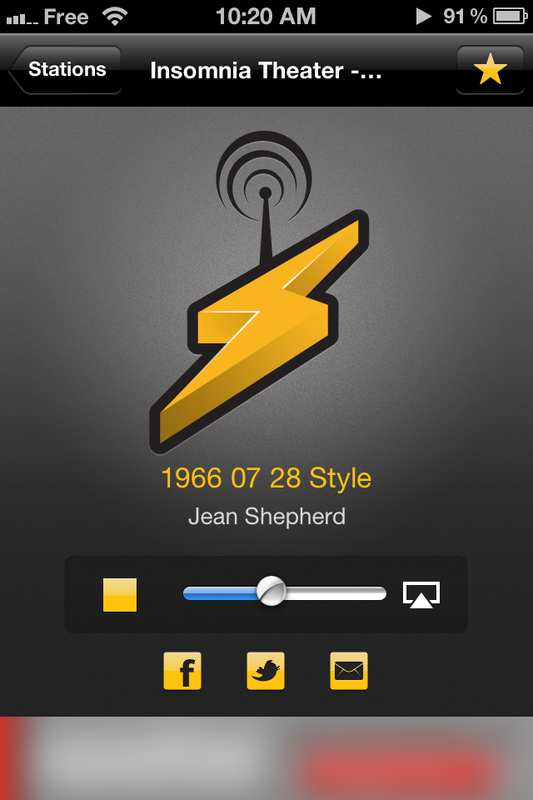 Shoutcast offers 54,000-plus radio stations, and you can access them with the free Shoutcast Radio iOS app. This app is easy to navigate, but has minimal features. You can view what you’re listening to, if the station provides this information, but there’s no album art or lyrics. The Featured screen has ten promoted stations, but in my tests they didn’t always work. Searching is quick and responsive, and the search results show the bit rate of each station. You can also save stations as favorites, so you can access them whenever you want. RadioBox's player has a simple interface, but big buttons make it easy to control. 2. The $1 Internet RadioBox app gives you access to all of Shoutcast’s stations, as well as those from the RadioDeck and IceCast directories. (For IceCast, you have to view a webpage, which isn’t very easy to do on an iPhone.) The RadioDeck directory is interesting because it lists stations by country; if you want to listen to content from a specific country or in a specific language, it’s easy to find it here. Internet RadioBox also lets you record radio streams to listen to them later. 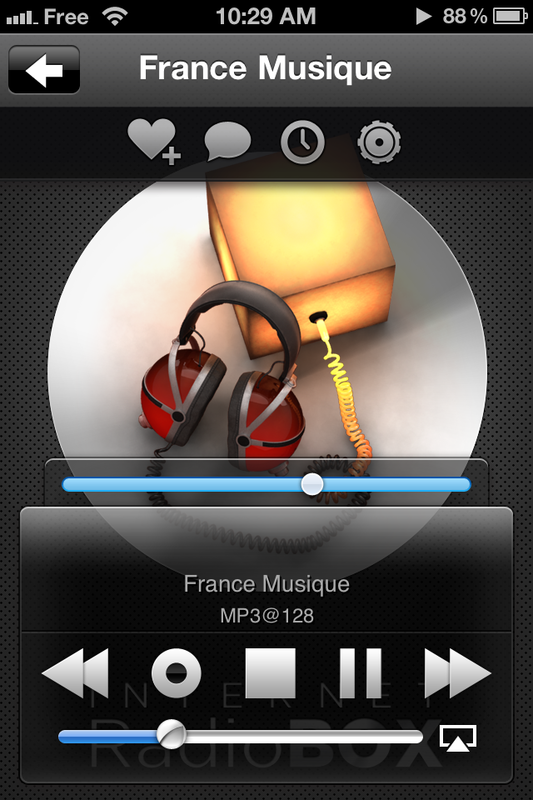 If album art is available, it will display in the player. You can save favorites, and it has a sleep timer, so you can set it to play for, say, a half-hour while you drift off to sleep. It even lets you go to iTunes to buy music, if the identifying information is sufficient. Finally, Internet Radio Box runs natively on the iPhone and iPad, with a very well designed iPad interface. 3. 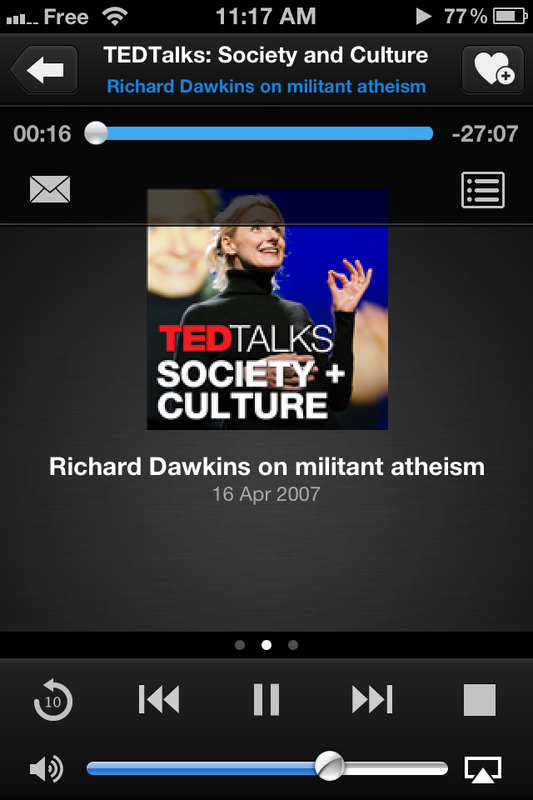 TuneIn Radio is another directory that offers a universal iOS app. TuneIn focuses on “real” radio stations from all around the world that offer their programs via streaming. And it also offers access to Internet radio stations, some podcasts, and other programs. The service claims to provide more than 70,000 radio stations and 2 million programs. There’s a free ad-supported version, and a $1 Pro version, without ads, which also offers recording features and access to some additional programs, such as ESPN, CBS, and TED Talks. Unlike the other apps I’ve mentioned, it uses location services to find local radio stations; tapping Local Radio shows all the stations broadcast in your area. 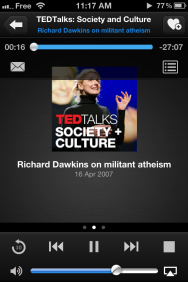 TuneIn's player gives you easy access to its many playback features. TuneIn lets you turn off cellular data access if you need to watch your data usage, and it has a simplified Car Mode with just a few big buttons so you can control it without having to look too closely at a small screen. TuneIn also has a good related radio stations feature; swipe to the right when listening to a station and find others that are similar to expand the number of stations you listen to. All three of the above apps offer background playback, social media sharing (Facebook, Twitter, and email), and AirPlay streaming, so you can play your favorite radio station on your iOS device and listen through an AirPlay device. No matter what you want to listen to—music or talk—there are tens of thousands of choices. Which app you choose will depend on whether you’re interested in Internet radio stations or FM radio available by stream. But all three of the above apps offer a wide range of sources and good feature sets so you will never want for audio entertainment, at home or on the road. 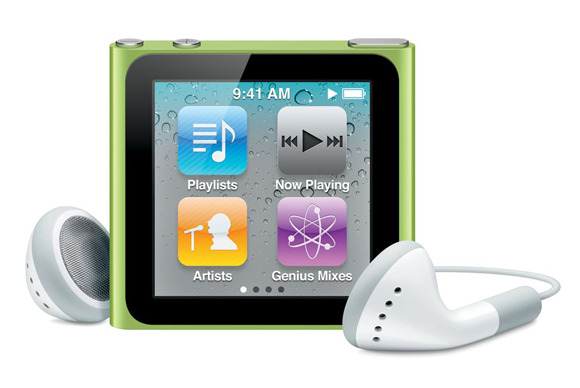 The iPod nano has a built-in FM tuner. Finally, if you really want to listen to FM radio—your local radio station may not be streamed over the Internet—you should know that the iPod nano ( ) offers an FM radio feature that lets you listen to stations over the air, and even pause and restart them; it has a buffer of up to 15 minutes that so you don’t miss anything if you want to take a break. But other iPods and iOS devices don’t offer this feature.